New Zealand is not known for its big cities, but for its nature and adventuring. Wanaka is not a big city. It is not really even a big town. Sometimes when planning trips I get weird ideas in my head. I see things on the map or in the guide book that I want to see. Wanaka was one of these. I wanted to come here for the sole reason of Wanaka Beerworks. Wanaka beerworks is an independent brewery housed in a building next to the Wanaka airport. (Airport seems like a generous term for this structure, but ok.) Wanaka does not have much public transport, so we ended up in a cab out to the airport and back to take the tour. It cost us more for that cab than the bus ticket from Wanaka to Dunedin. Oh well. The tour was interesting. The master brewer is from Belgium and runs it with his kiwi wife. We sampled our beers and put together a six pack to buy for later. The beer tour only took a few hours and we were staying the night. This left us the rest of the day to explore Wanaka. Yeah, that picture is from the lake shore and shows pretty much the entire town, looking down the main street. It is a nice place, but small. This wasn’t such a bad thing in it gave us a day off from “going” to do some recharging. The best thing to recharge with is pancakes. Seriously! Germany doesn’t have any IHOPs or Waffle Houses, so I don’t get pancakes at home in Freiburg. 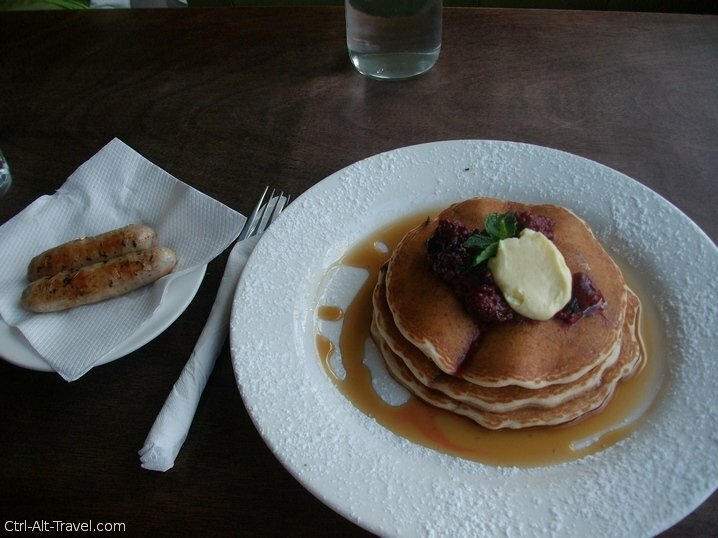 I was happy to find a place with pancakes. We ended up in Wanaka early and had breakfast before even venturing to the beer works. Mmm pancakes. 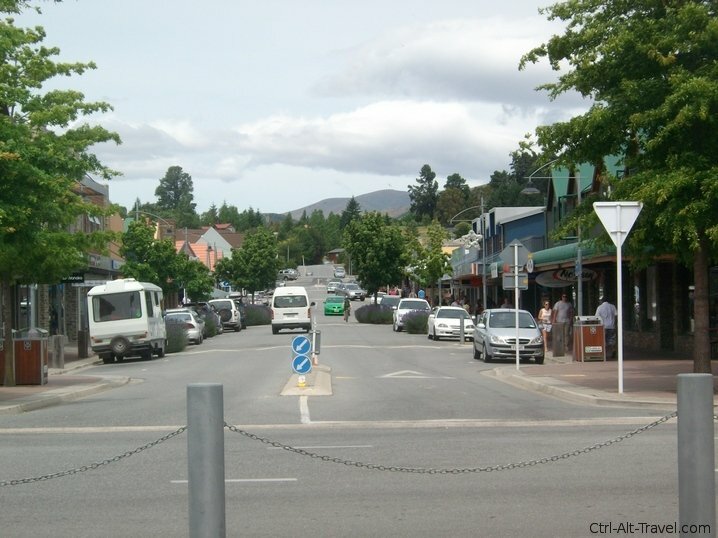 The town is on the shore of Lake Wanaka. This seems to be the center of the local activities too. According to the map from the tourist office, there were plenty of hiking trails around the lake and into the surrounding hills. We were not there to hike, but to relax. It was neat watching the people kayak though. I liked the kiwi sense of humor. 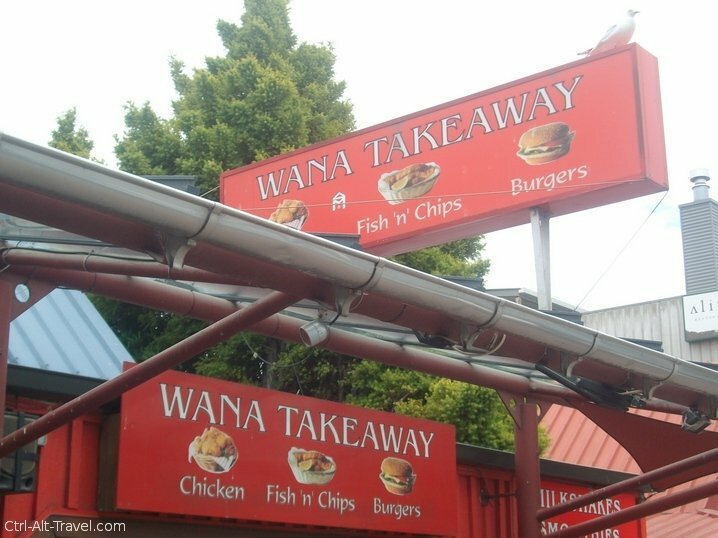 The waterfront of Wanaka is a row of restaurants of all shapes and styles. From a SubWay to the Pancake place to a sports bar (seriously, how does anyone watch cricket?) to this inventively named place. As the afternoon was winding down, we hit up the grocery store for fixings. We were staying in a hostel in Wanaka with its own kitchen. 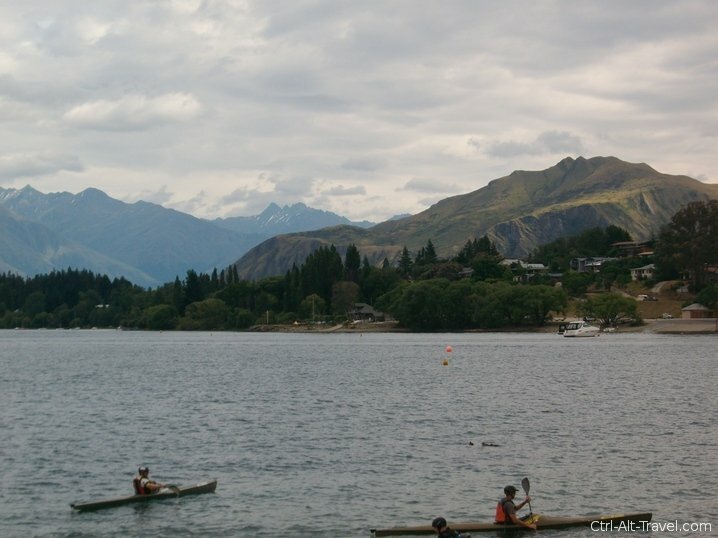 It was near New Years, which is a popular time to come to Wanaka, so this was what we could find online to stay in. We headed back to the kitchen and made dinner to be enjoyed with our beers from the morning. It was a nice end to a relaxing day. 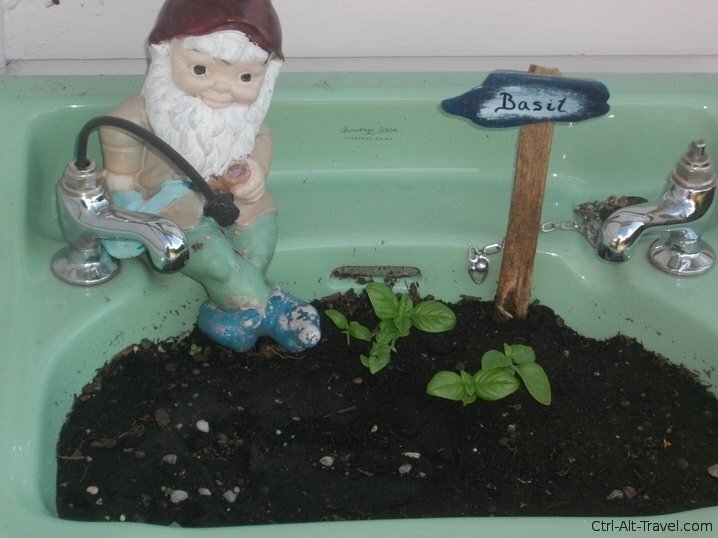 This little Gnome Fellow guarded his crop nearby. Read more about Wanaka at Dangerous Business.